Passed peacefully on February 2nd, after a courageous nine and a half year battle with ovarian cancer, at home, surrounded by her family and friends. Born November 15, 1939, she was the daughter of the late Bertha (Poerschke) and Roy J.. Heinsberg. Throughout her illness, she remained active and passionate about life grateful for the support and care by family, friends, and the staff at Magee-Women's Hospital. She was a graduate of West View High School (North Hills) and Carnegie Tech (Carnegie Mellon University) and enjoyed a varied career life in New York City, Frankfurt, Germany, Chicago, and Pittsburgh. She worked in sales and sales promotion in the textile and electric appliance industries and in consumer product distribution. 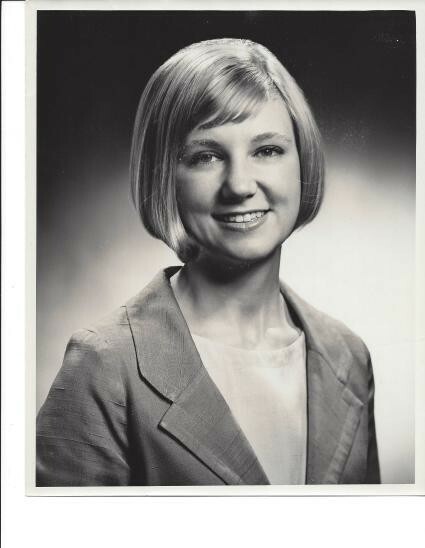 Mid-career, she became a Registered Dietitian and worked for many years in food service management and sales. She enjoyed arts and crafts, ethnic foods, opera, theater, and politics, and had been an avid skier and tennis player. Judy was a deacon at Trinity Lutheran Church, had volunteered at the church's St. Afterschool program, and had served as Treasurer. She is survived by her beloved friend, Lou Nudi; brother, Richard Heinsberg; and sister, Carolyn Bushman; eight nieces and nephews, Todd Heinsberg (Christine), Kim Fawcett (Tom), Kate Heinsberg, Maggie Steinbach (David), Mandy Ondek, Kurt Heinsberg (Lacey), Brett Bushman and Maggie Bushman; 15 grandnieces and nephews; dear cousins and other family members, and friends. She was predeceased by her sister-in-law, Sidney Heinsberg. A Memorial Service will be held on Saturday, February 16, at 11:00 with luncheon to follow at Trinity Lutheran Church, 616 W. North Ave., Pittsburgh, PA 15212. No flowers please. Should you wish, memorial donations may be made to Trinity Lutheran Church, 616 West North Ave., Pittsburgh, PA 15212; Magee- Women's Research Institute & Foundation, 3339 Ward St., Pittsburgh, PA 15213. Arrangements entrusted to ANTHONY M. MUSMANNO FUNERAL HOME INC.